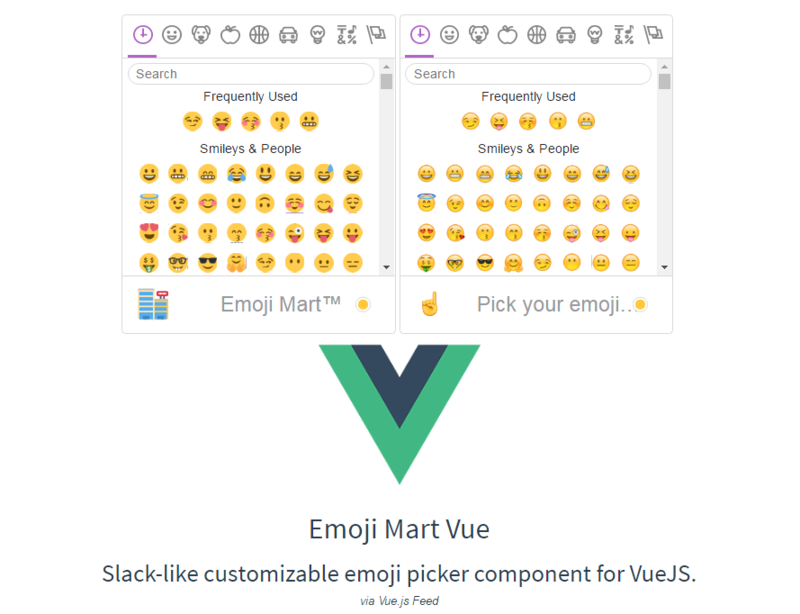 Today almost every way of written communication has emoticons, and if you are looking for a way to include them in your Vue project, take a look at the Emoji Mart (Vue). An emoticon is a pictorial representation of a facial expression using punctuation marks, numbers and letters, usually written to express a person's feelings or mood. 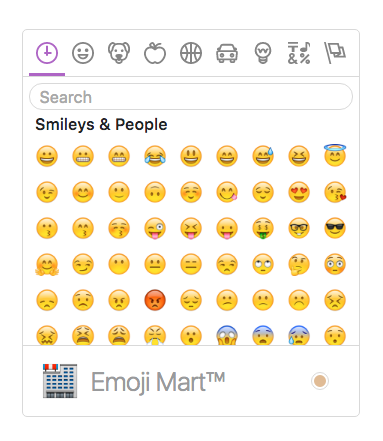 The Emoji Mart (Vue) is a Slack-like customizable emoji picker component for Vue.js. This project has been forked from emoji-mart which was written for React. This component can offer the emoji picker with many options for customization. As you can see at the demo page, you can choose a different size for the emojis, skin color, how many per line, sheet sizes for different sets and more. Powerful search Returns emojis when searching for emoticons. There is a detailed table regarding the props you can use to customize your emoji & pickers, available on GitHub. There you will find everything to get you started along with details for internationalization (I18n).